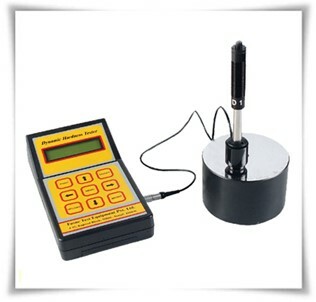 WHAT IS HARDNESS TESTING ? Hardness Testing – The Metals Handbook defines hardness as “Resistance of metal to plastic deformation, usually by indentation. However, the term may also refer to stiffness or temper, or to resistance to scratching, abrasion, or cutting. It is the property of a metal, which gives it the ability to resist being permanently, deformed (bent, broken, or have its shape changed), when a load is applied. The greater the hardness of the metal, the greater resistance it has to deformation. In metallurgy hardness is defined as the ability of a material to resist plastic deformation. Advanced NDT Solutions primarily use portable hardness testing in the field for Power Generation and Energy facilities.